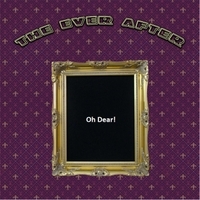 The first album recorded as The Ever After called Oh Dear! from 2009 has recently been re-released on CD Baby. It’s 9 songs of original acoustic music with elements of blues, folk, bossa and classical. It was entirely self-funded and independently released – in fact Andreas did all the recording, mixing and mastering himself (which was probably not a good idea, in retrospect 🙂 ) It’s a piece of TEA history though and you can check it out here.